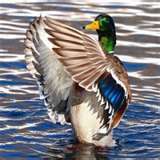 Waterfowl Management & Consulting - PLM has been a leader in the innovation and pioneering of many waterfowl food sources. One of PLM's professional consultants can meet with you on-site to review your property and develop a plan to attract and hold more ducks on your property. Contact us for more details.